This pug is crazy! Been working on a super fun cartoon pug leg sleeve and just got a new camera so this is the first tattoo Ive been able to upload in a while because the iphone camera was simply not cutting it anymore. 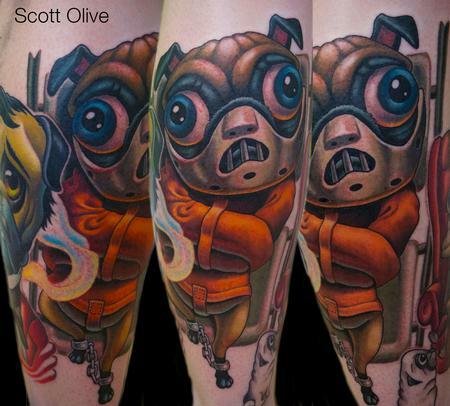 lots of other fun pug tattoos on this leg sleeve so stay tuned and hopefully now that I have my camera ill be able to upload a lot more!